Chief Information Officer – Gati Ltd.
GS Ravi Kumar is a goal oriented IT leader with over 27 years of demonstrated experience in strategising, planning, developing and implementing cutting-edge information technology solutions to address business opportunities. 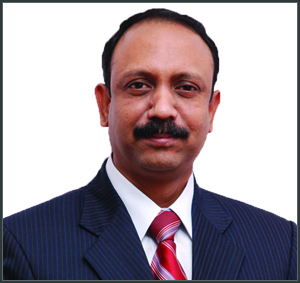 He is associated with Gati Ltd in the capacity of Chief Information Officer for 16+ years and has been part of the Senior Leadership Team at Gati. During this tenure he has played a very major role in transforming the entire IT system of Gati Ltd to be at par with the best. He was involved in developing a software product called Gati Enterprise Management System (GEMS), a custom developed ERP for the express cargo industry, and also in many unique and innovative mobile based solutions. He has been accredited with quite a few first-of-its-kind implementations in the country in the IT space and has won innumerable awards and accolades.